Southampton XI: Forster, Martina, Fonte, van Dijk, Bertrand, Wanyama, Romeu, Mané, Davis, Tadic, Long. 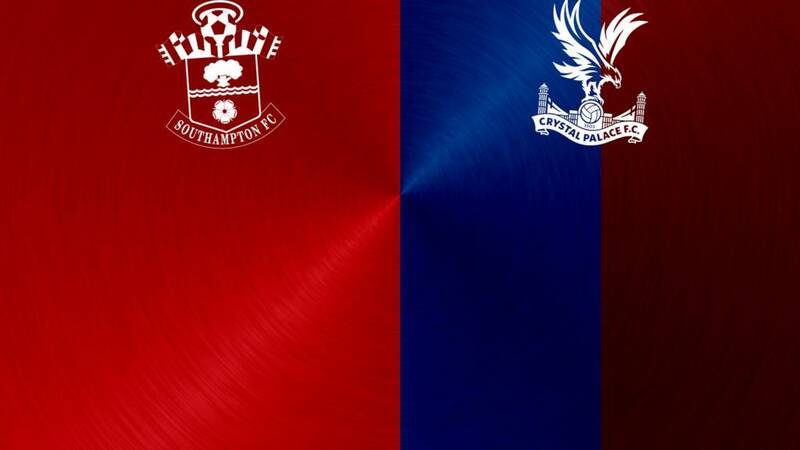 Palace XI: Speroni; Ward, Mariappa, Delaney, Souare; Mutch, McArthur, Jedinak (c), Puncheon; Gayle, Adebayor. Southampton qualify for the Europa League and end with their highest Premier League points total with victory over Crystal Palace. All over at St Mary's. The last knockings here, Saints are heading to Europe again. Pelle chested down a cross, and Davis slammed the ball low past Speroni for an emphatic strike. All over now. Charlie Austin is on for Shane Long, who gets a huge ovation from the home fans. Martin Kelly replaces Joel Ward. Mane goes close again, blasting the ball over from an angle when Pelle could have been the better option in the middle. Sadio Mane nearly gets his second, curling a shot from the edge of the box just past the post with Speroni beaten. Lee Chung-Yong is on for James McArthur. There's life in this one yet, Jason Puncheon hits a shot just wide across the face of goal, and it was inches away from a touch for Emmanuel Adebayor. Sadio Mane went down under pressure from Mariappa and Souare, so Bertrand stepped up to flip it high to Speroni's right. The 'keeper got a fingertip to it, but not enough. Mike Oliver awards the Saints a spot kick. 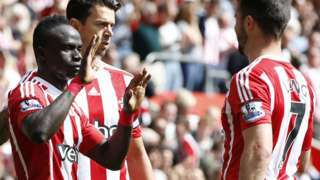 Mane floats in a fine, teasing cross for Shane Long, whose header lands on the roof of the net. Pelle gets booked for a clumsy one on Souare. Dusan Tadic, James Ward-Prowse comes on for the 19th time as a replacement this term. The Serb gets a standing ovation as he trundles off. James McArthur sees a shot blocked, then Joel ward hooks his follow-up effort well wide. Southampton are shaken, Palace very much on the front foot for now. I was about to say that was all-but game over when Saints scored, but it's game on now, that's for sure. Forster's push away from a corner landed with Jason Puncheon, who cut onto his left and fired in a screamer of a shot that fizzed over the head of Emmanuel Adebayor. No-one was stopping that!